It was a pilgrimage to look upon a great sculpture of a revered and powerful indian leader. A pilgrimage to honor all Native Americans. 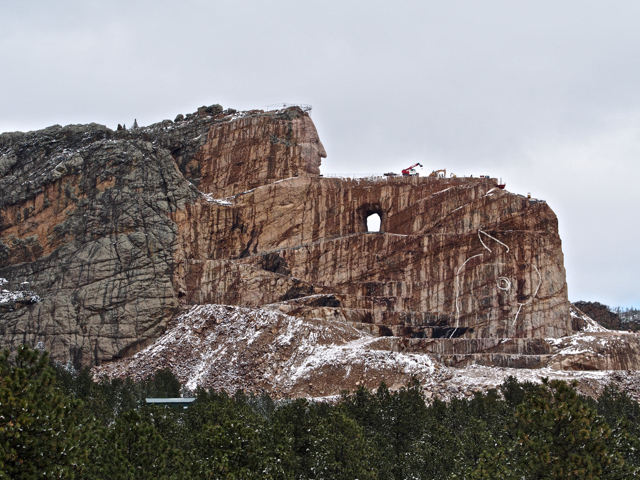 Crazy Horse Memorial is a mountain monument in progress to honor a Lakota Indian Chief but also honoring all Indians. It was started in 1948 and continues to this day. The only funding received is from private monies and park admissions. I stood in awe at this wonder before me. What powerful gifts of tenacity, courage, and endurance: 69+ years in the making. This entry was posted in Uncategorized and tagged AMERICANA, tincantravelerPhotos. Bookmark the permalink. Your photos show the scale of the project superbly, Annie. What a huge (pun intended) project! Breath taking. Being part native Indian myself I have strong feelings for the Indian nation. It amazes me the enormous undertaking people do when motivated. Great picture. A friend of ours also went there and was up at the top also wonderful pictures. Thanks again for sharing your experiences. Love Ya. I love seeing the current photos. We visited when I was a child – maybe the mid 1950s. It was just a small chunk removed at that time, but even as a kid, I was in awe of this man’s dream. Thank you for sharing your memory. 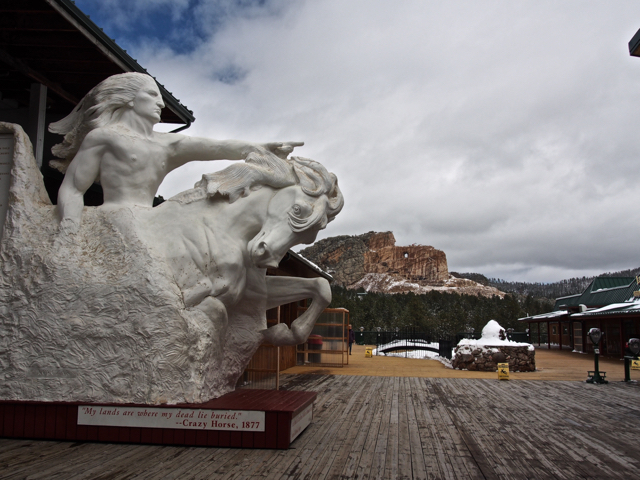 The Native American culture center at Crazy Horse is also a treat.